Every year a number of people die due to kidney failure or due to shortage of kidney supply at the right time. Considering the need scientists at UCSF (University of California, San Francisco) along with other universities has developed a technology with the help of nanotechnology in medicine that could help in creating artificial kidneys. The researcher have built a prototype model which can do perform exactly like a real kidney doing all the function a real kidney does, the technology involves a silicon nanofilter which is used to remove toxins, salt or water from blood. The cup sized device is designed on the base of manufacturing process of semiconductors electronics and microelectromechanical systems. The device will remain active on blood pressure alone without needing any help of pump or any electrical power. This helps the patient remain free of dialysis and being able to move freely. How does the Artificial kidney work? According to the researchers, these nanofilter apart from having a uniform pore size as many greater benefits than the normal dialysis machines. 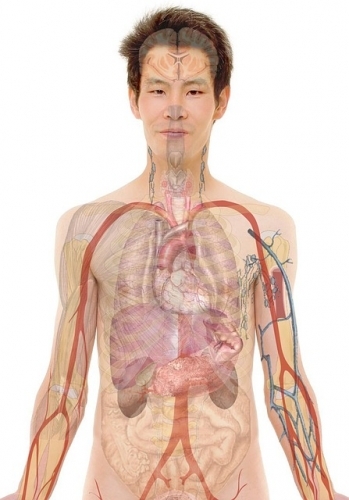 They said the real kidneys won’t be removed; instead the artificial kidneys will be set beside the real ones and will be connected to the blood supply and bladder of the patient. It is impossible to make ditto kidneys, but an artificial kidney can at least last up to 10 12 years at its best. The kidney will continue its life span till indefinite time if new cells are implanted to it every two years. This could be a great innovation with the help of nanotechnology in medicine. “We are increasing the options for people with chronic kidney disease who would otherwise be forced onto dialysis,” said William Fissell from Vanerbilt University. National Institute of Biomedical Imaging and Bioengineering’s Quantum Program granted $6million for the research. The US food and drug administration (FDA) choose the research program for their new initiative- Expedited Access Pathway; which intend to improve fast development of medical devices which helps to fight life threatening diseases. “We aim to conduct clinical trials on an implantable, engineered organ in this decade, and we are coordinating our efforts with both the NIH and the US Food and Drug Administration,” said Shuvo Roy, a bioengineer from UCSF. He also said that the trials will begin soon in the year 2016 and a complete report will be on hand around 2020. The cost of artificial kidney implantation will cost the same as original implantation which is around $30000. Nanotechnology in medicine has been proving really helpful for the people, and with this study of artificial kidneys can be useful for people who are on dialysis, suffering from end stage renal disease or need or urgent transplant still on the waiting list for a long time.